We make bath and body products for lovers of laughter, word nerds, and the geekily inclined. 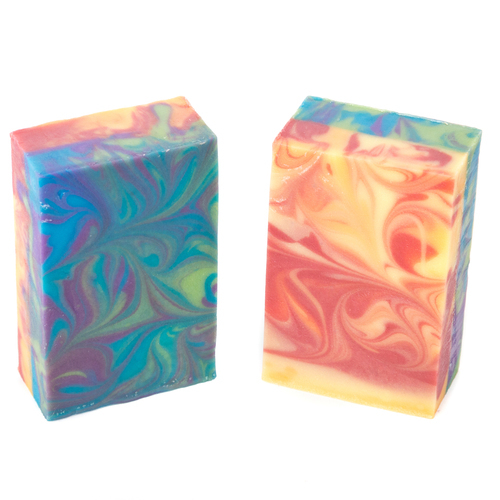 Our best selling (and smelling) soap is Gay Bar Soap (pictured on the right). It’s even the best seller among straight people! Please lather responsibly. Why did you decide to join the Wisconsin LGBT Chamber? To be honest, I joined so I could participate in the Madison Pride Business Showcase last week. I’ve already gotten more out of my membership than I expected and I’m very happy I joined. Everything! I love inventing new products. I love it when I can make people laugh. I love that I am providing a high quality, hand made product to my customers. Most bath and body products are highly genderized and I love that my products really appeal to people from a broad spectrum of genders. You don’t have to listen to all the advice you are given. Knowing when to ignore ‘advice’ is just as important as knowing when to follow it. I get out and explore a new place. Preferably one with lots of plants and animals and not much concrete. If you had to choose another career today, what would it be and why? You mean my other business? I also run Snow Global Images. If you’re going to start one business, why not start two at the same time? I’ve found there is a lot of crossover between the two businesses. Things I learn in one context also apply to the other. I enjoy both businesses, although I do occasionally miss that lovely hobby I used to have called ‘sleep’.